Jammu and Kashmir Board of Professional Entrance Examination (JAKBOPEE) had scheduled JKCET exam on 28 May 2017 and there is no biology paper now. JK CET is held for admission to MBBS, BDS, BPT, BUMS, BE etc. UG Course. 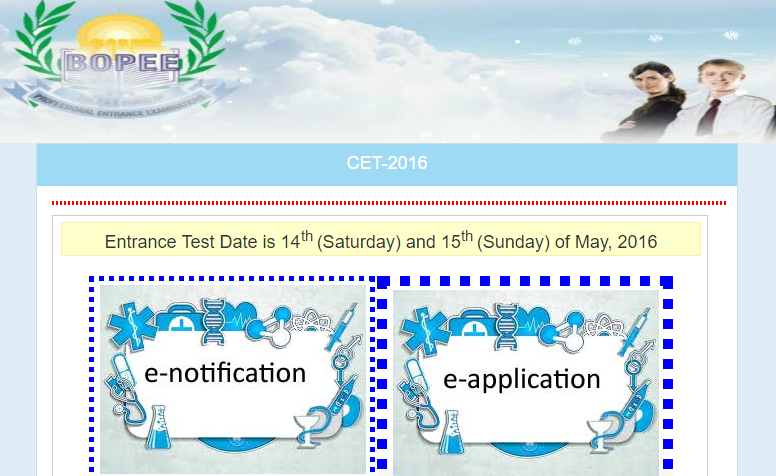 The Admit card of JKCET had been released on 19 May 2017. 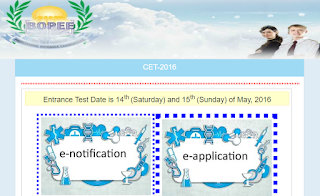 Those candidates who had registered, can download JKCET Exam Admit card from here. JAKBOPEE is going to conduct JKCET written exam on 28 May 2017 for the purpose of determining merit of the students for admission to various professional undergraduate courses like MBBS, BDS programmes etc.. For that, admit card are available now. The Admit Cards will be available online from 19 May 2017. The candidates are advised to download their Admit Cards from the J & K BOPEE official Websites (www.jakbopee.net or www.jakbopee.org or www.jkbopee.in) on photo paper printed in colour. Jammu and Kashmir Board of Professional Entrance Examination had invited applications for Jammu & Kashmir Common Entrance Test for admission to UG courses in the state. You can download JK CET Admit card 2017 from below given link. JKCET questions shall be multiple choice objective type withone mark each. shall consist of two (2) papers each of PCB and PCM groups. Paper A shall consist of Physics and Chemistry with 120 questions with each subject having 60 questions. There will be 0.25 negative marks for each wrong answer. You can get JK CET admit card from JAKBOPEE website through link here. Visit above link and enter details and submit. Their JKCET Admit card 2017 will be shown and a print on white paper should be taken. The candidates are required to paste attested photo on the downloaded Admit Card of JKCET-2017 at the space earmarked on it.